Owing to the vast industry experience, we have been capable of delivering High Speed Mixer Machine to our esteemed clients. These are designed with high grade motors and premium quality blades that enables easy and swift mixing. Our raw material for the product is sourced from authorized vendors in this industry. Post production, the products are stringently checked by our quality analysers to ensure their flawless performance. These are applauded for their dimensional accuracy, easy installation and long service life. 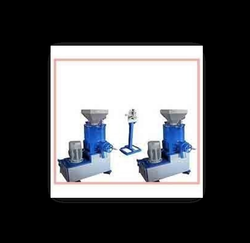 We are one of the noted manufacturers and suppliers of a wide array of High-Speed Mixer Machine. These machines are mainly used for mixing and drying of resin such as Polyethylene Polypropylene Polyvinyl Chloride. Our customers can avail these products as per the specifications and details provided by the clients. We also offer customization facilities to suit the needs of our clients. We are offering 50 Kg High Speed Mixer¿¿to our client. Looking for High Speed Mixer Machine ?